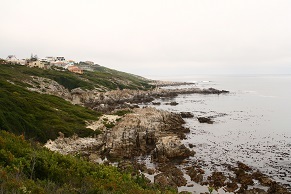 The sign announcing our arrival in Gansbaai says “Welcome to the Great White Shark Capital of the World” – a terrifying prospect for someone with a phobia of the toothy critters. 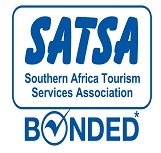 Thankfully though, our port of call is the neighbouring coastal village of De Kelders, celebrated rather for its historically significant limestone caves and reliable whale sightings. Now that sounds more like a holiday! 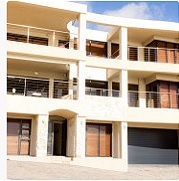 De Kelders is a residential area which offers basic amenities such as a garage, grocery store, restaurant and bakery. 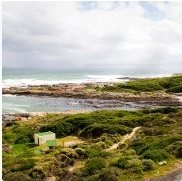 The larger seaside homes stand proudly on the sandstone cliffs overlooking Walker Bay, which extends all the way from Gansbaai through Hermanus to Hangklip. 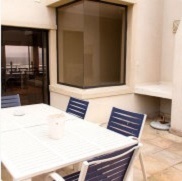 Whale Waters is a three-storey self-catering guesthouse on these very cliffs, just a two-minute walk from the swimming-friendly beach. 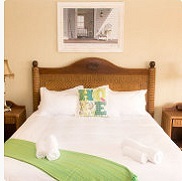 Of the six bedrooms, our charmingly appointed room has a spacious en-suite bathroom complete with spa bath. 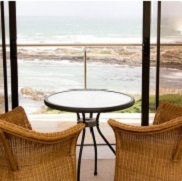 All rooms on the upper levels offer undisturbed sea views from their private balconies. The middle level is the living space, including an open-plan dining room and lounge within an indoor barbeque – and there’s another braai on the wind-protected back patio too! 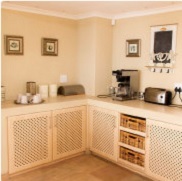 The separate scullery and laundry area lends itself to having domestic help, which can be easily arranged for your stay. Most of our days are spent chatting and playing board games on the furnished sea-facing veranda while the resident school of whales breaches happily behind the breakers. We find respite from warm afternoons in the sea or swimming pool. Before long, clinking glasses of bubbly on the veranda at sunset is an evening ritual. Wi-Fi access means we’re able to check in with the world, but it’s unlikely that you’ll ever really feel the need. 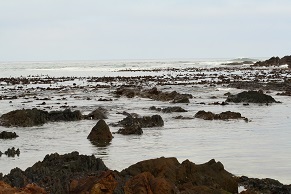 Once we managed to leave our front-row seats to the Atlantic and the whales, we found plenty to do in De Kelders and neighbouring Gansbaai. One lovely afternoon at Klein Rivier cheese farm, we enjoyed picnic lunch while the kids kept themselves entertained in the play area. Another day we visited Thyme at Rosemary’s for lunch, where we sat down to a seafood platter in the dappled sunlight of the restaurant’s tranquil courtyard. 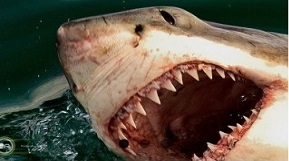 And of course, if you’re brave enough for shark-cage diving, there are no better waters in the world to get nose-to-nose with these notorious sea predators. 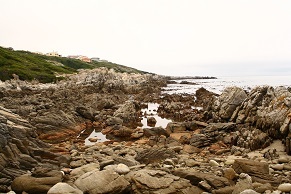 Walker Bay Nature Reserve stretches from De Kelders to the Hermanus Lagoon and there are magnificent hiking trails along this entire coastline. 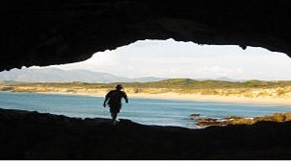 Klipgat Cave within the reserve is a valuable historical site, where some of the world’s oldest remains of Middle Stone Age man have been discovered. Visits to the cave are by appointment only. 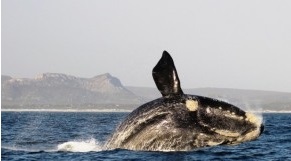 With dependable whale-watching and a host of other activities on offer, forget overcrowded Hermanus and rather head to De Kelders for your next spring getaway.